Lomography is an international community of Lomographic photographers who advocate creative and experimental film photography, often shooting with outdated 35mm films in cheap toy cameras, creating off-color, out of focus, vignette effects that produce one of a kind photographs. There are over 30 Lomography Gallery Stores worldwide and an online shop. Lomography has become pervasive. I noticed several lomo cameras for sale in the Andy Warhol Museum gift shop on my last visit. 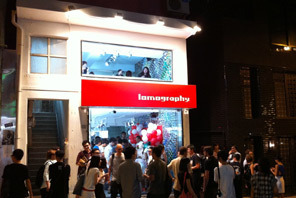 The first Lomography Gallery Store in China opened in the Sheung Whan district of Hong Kong in 2007, and now a second Lomography Gallery Store on Granville Road, in the Tsim Sha Tsui district of Hong Kong functions as both a gallery and hangout and is the base for promoting Lomographic culture in the Asia Pacific. It is interesting to me to see the lomography movement take root in Hong Kong, where I lived for two years. What better place than the jostling streets of Hong Kong, packed with thousands of people on the move day and night, filled with opportunities to make the bokeh images characteristic of lomography. Lomography.com serves as the communication hub for Lomographers worldwide. 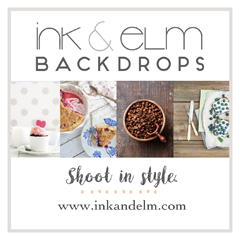 The sum of this movement–you don’t have to be a photographer to make lomographic prints as part of your artists output and sales.